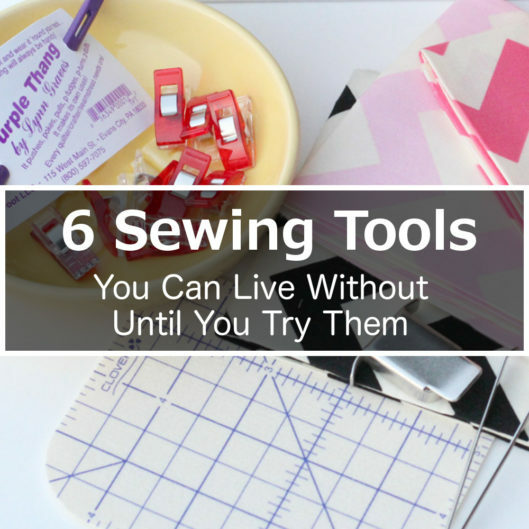 People are always wondering what sewing tools and notions they NEED and what they can live without. I am finding that there were tools I thought I could live without, but then I accidentally tried them. The problem is, now that I’ve tried them I’m almost non-functional without them and have now made several splurge purchases due to withdraw issues. This post is about sharing with you the tools that I have found helpful and super-awesome-amazing-cool. You may be able to live without them now, but once you cross the line into use, you won’t go back. I’m going to share my experiences so you have a little more information about these fun gadgets and tools. I have six tools to share about today. I could share more than that, but I don’t want give all my secrets away in one post. Here are the tools on the list for today. This iron has been in my dreams since I first used it at a sewing conference last month. It has this super awesome feature where it raises itself off the ironing board when you let go of the handle. This prevents things from getting burned, yet you don’t have to set it up when not using it. Let go of the handle and it lifts itself off the ironing board. You wouldn’t think that is a necessary feature, but I swear it does make work go some much faster! Also, if you use this iron and then go back to a regular iron that doesn’t lift itself off the board you will find your board developing burn spots fairly quickly. In fact, when I placed my order for my iron I purchased a new board cover because mine was burnt after developing a habit of not setting up my iron. Not attractive! This iron has a semi-steep price tag, but totally worth the investment! I’ll never go back. I have to say this is one of those notions I thought to be ridiculous. They are rather pricey and who needs a pricey tool to do something that a less expensive tool can do for you? My thoughts have always been that there is no way those little red (or whatever color) things could be as awesome as what people say. I especially thought those tiny little clips would never hold sleeves that had to be eased in to a bodice, or knit bindings at a neckline, or pieces to complicated bags with all that interfacing and layers (if you are a bag maker…I am not AT ALL). The crazy reality is that these things are legit. I was gifted some recently and thought, “I guess I’ll see what all the hoopla is about.” AHH! I’m hooked. I mean it’s like sewing crack people! I need more, more, more. With that said, I contemplated tossing my pins out completely, but feel that would be a bad idea. You still need your pins, just not so much. Try these at your own risk. You may find yourself converting as well. When I first started sewing, which was only a few years ago, I used my seam gauge to measure all my hems for pressing. It took for-ev-er (insert Sandlot pronunciation of for-ev-er). I would measure, press a few inches, measure again, and press some more. I wanted everything to look even, so I tried to be good and not just eyeball it. At one point I started using a printable pressing guide I found online, however I always feared the ink from printing would transfer onto my project, especially when using steam. The hot hemmer was my solution. It is a pressing guide with a ruler that is iron safe. It is also an awesome texture that causes fabric to stick to is slightly so it doesn’t move around when you go to grab your iron. Love that! It also has several different sized edges, which makes it great for sleeves. I typically try to memory press hems on sleeves whenever possible, but if I’m testing and it isn’t included in the pattern I don’t do it. I’m a good tester like that. I love this tool and really want to make a little bag for it to hang off my ironing board. I have a slight issue with carrying my hemmer away from the ironing board and then I waste so much time trying to find it I get annoyed. Maybe an ironing board caddy will be a post for a later date. I first discovered these pens because I am a teacher. If you aren’t familiar with teachers, we love office supplies. I am a collector of pens. I hate using red ink, so the more bright and colorful the better. I love these pens in my classroom because I can erase if I made a mistake in grading or want to update my plan book. I like to write my plans in pen because it is more fun than boring gray pencil lead. I’m assuming these pens get their name because when the “eraser” creates friction on the paper the ink disappears. What do we know about friction? It generates heat. So, how does this apply to the sewing world? It turns out that when you mark on your fabric the ink is then removable by the touch of your hot iron. How awesome?! I hate that stupid water soluble “disappearing” ink marker. I always feel like it leaves unwanted marks behind. These pens are an awesome solution. It is important to note here that if you leave these pens in your car in the heat of summer they will no longer work. It’s like the ink becomes invisible. I’m telling you from experience. I have heard a rumor that if you put them in the freezer they can return to working order, however I wasn’t about to test this for you to let you know. I learned my lesson long ago. With that said, if your final garment will be exposed to extreme cold, your marking may come back. So test and see how it works for you. These seemingly simple tools are great for those little mistakes you make when you stay up too late sewing. The rubber tip on the cap of the ripper that helps remove the stray threads after ripping. It works almost like an eraser of sorts. I don’t know about you and your seam ripper, but I can never find mine when I’m working so I have three of these babies (and a few others). One can never have too many seam rippers. This is a new tool to me! I have seen many people complain that they struggle to sew a straight seam. I’m not horrible, but I am sure I could do better. This is especially true when I’m trying to sew with little people climbing on me like I am a jungle gym. I thought I would give it a go because Kennis highly recommended it. For a few bucks, who wouldn’t try it. It attaches to the throat plate of your machine to keep your fabric feeding nice and straight. Yes, I have another new gadget that is a-mazing. How can something so small and seemingly unfancy make such a great difference? Add it to the list of, “I’m never going back.” I wonder if they make something similar for my serger. I’m way worse at keeping things straight on that. How about all these fun sewing gadgets and tools?! Are there some that weren’t mentioned here that you absolutely love? I know I have a few more that were in the opening photo that I would love to talk about later. Be sure to leave a comment about your favorite tool so others can give it a shot too! This post is written by Cassy Gobin of Pear Berry Lane Blog. Not only am I creating closets full of goodies for my three sweet peas, I’ve started doing some selfish sewing as well. It is funny how the things I’ve sewn for myself fit me better than store bought items and quickly become my favorite pieces in my closet. I don’t get to do it enough! I need more time! Pattern testing and blog tours are my new adventure. I share my pattern test projects as well as hopping on blog tours to share about new patterns, fun contests, and general adventures in sewing. Thanks for taking the time to join me in my journey! Looking for something I guess got thrown out when we moved. A cardboard folding, portable cutting board. Had it for years. I love love LOVE Frixion Pens. I use them at work (I have a hard time convincing my boss they’re worth the expense) but I’d never thought of using them for sewing. Great tip! I’ve always used erasable pens when I write (I’m a writer too, but too old school to first draft on a computer) and these pens are so smooth! I love them, thanks for showing me more of that they can do. Nice list! I loooove my hot hemmer. As a newbie sewer who can’t eyeball very accurately it’s a huge time saver. I’ve been curious about wonder clips, because people love them so much, but they’re quite an investment! This is awesome Cassandra. Top of my list is the Oliso Pro Iron. I’ve had it in the back of my mind that I need to start looking for a new iron. No real reason other than I want one, lol. But that one sounds worth moving to the top of my list! Great post, Cassy! I love my magnetic seam guide. It allows me to sew so much faster. I couldn’t live without it! Thanks Jennifer. I totally agree and my top stitching is nearly perfect with it. It is amazing how something so small can make such a big difference. As great of a tool as it is, you shouldn’t use the magnetic seam guide on a computerized machine, as the magnet can really mess up timing (translation: expensive fix). It’s a terrific tool on a mechanical machine, though. I really wish there was a non-magnetized version that could work for computerized machines as it makes straight lines so much easier. Hi Elisa, I also use a stack of PostIt note as a seam guide, so you can try that. The adhesive won’t leave any mark on the machine. I do have a computerized machine (with embroidery and the whole nine yard), and I have been using the magnetic seam guide for as long as I have it (over 5 years), and it’s not a problem for me. But I do understand some people may be concerned. So if you are, then the PostIt Note works too. I have yet to try that Seam Fix, but it’s on my shopping list now. A lot of those are my favorites too and some are on my wishlist! Great post for beginners! I would be cautious about using the Frixion pens on any fabric that will show after sewing, particularly if you live in a cold climate: http://quiltskipper.com/2015/08/13/frixion-pens-all-you-need-to-know/. That’s interesting. Thanks for the tips. I suppose I never encountered any problem because my temperature never went below freezing. People in colder weather should take note. The clover wonder clips (or similarly styled options) have been a total game changer for me. No more accidentally poking a zillion holes in my poor fingers! Yay! I can’t stand the water soluble pens either. I feel like they are always dry after using them just a few times. Thanks for the frixion pen suggestion ? I have the hot hemmer, I love it, too! I have to try the clips and pens now. Great information! Ooooh, that Hot Hemmer sounds like a good idea.